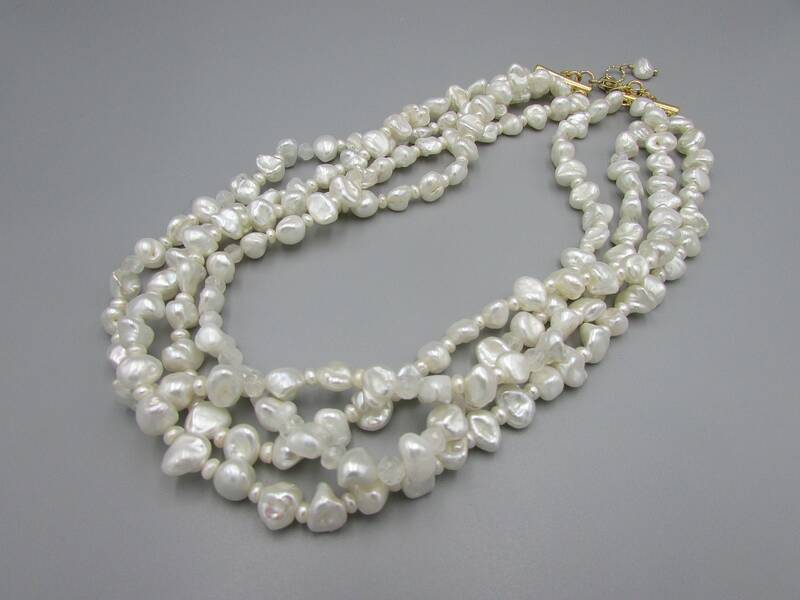 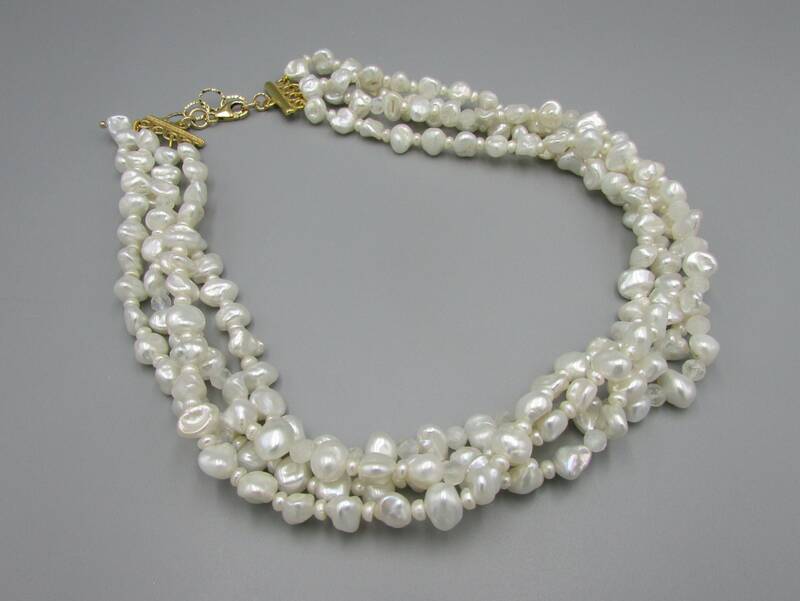 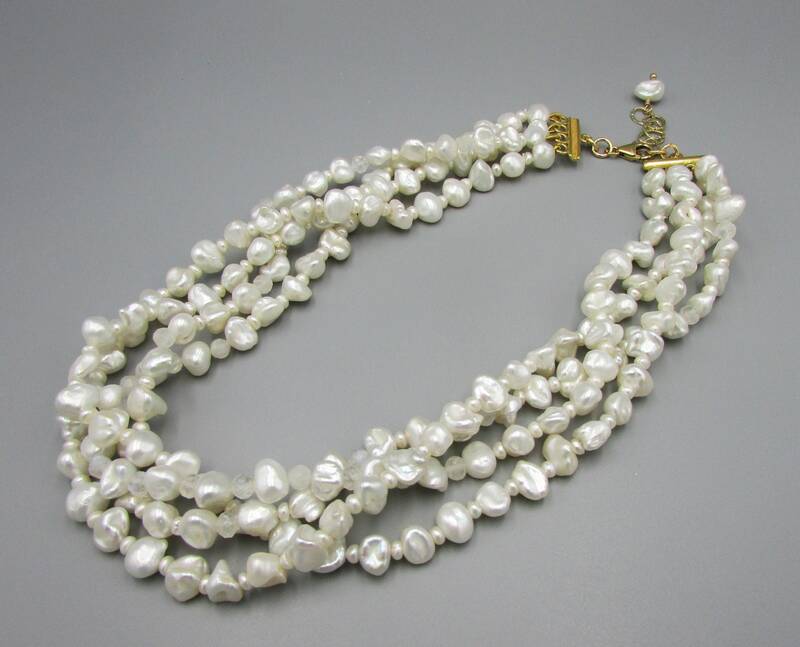 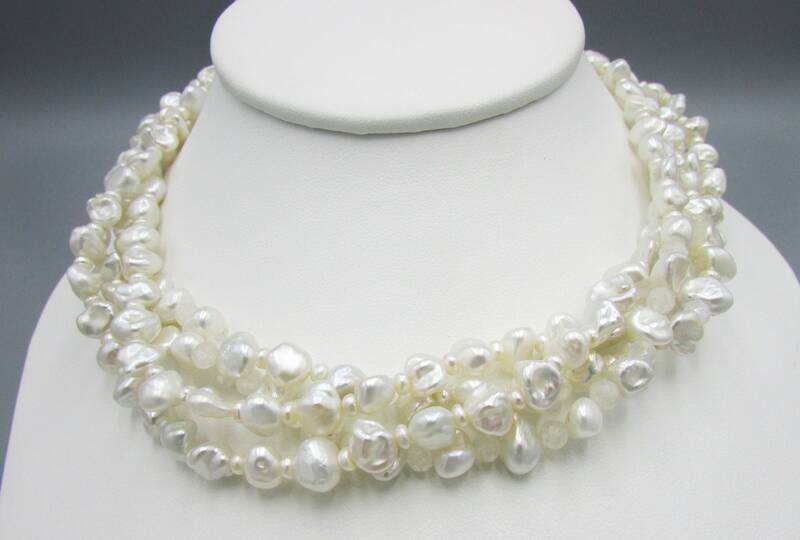 White keshi pearl choker made with delicate keshi freshwater pearls with small 3mm button freshwater between each keshi pearl for beauty and texture. 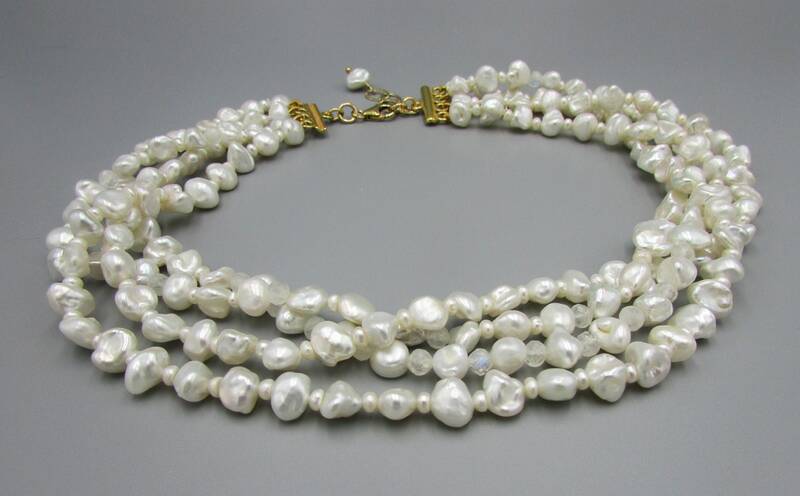 Four strands creating a unique and beautiful show piece around the neck. 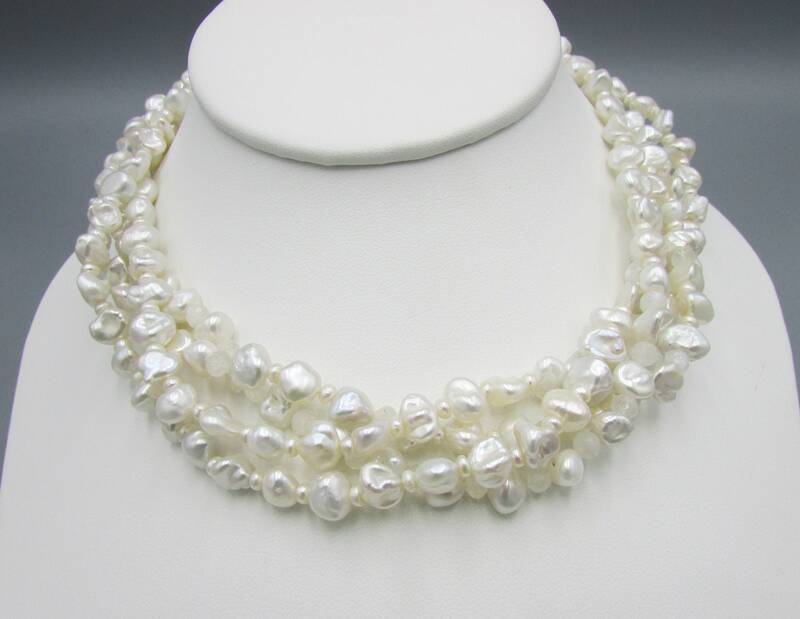 The keshi pearl range in size from 5mm to 7mm in size. 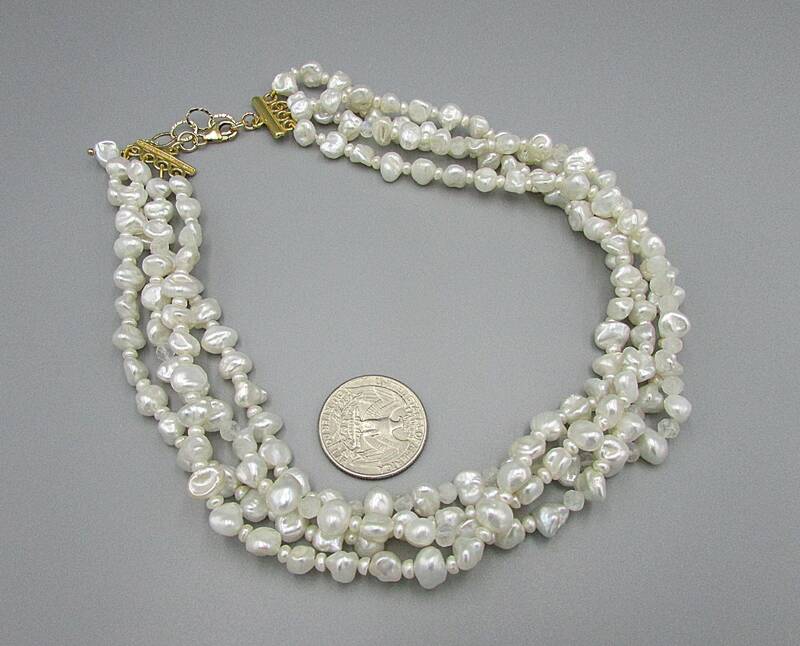 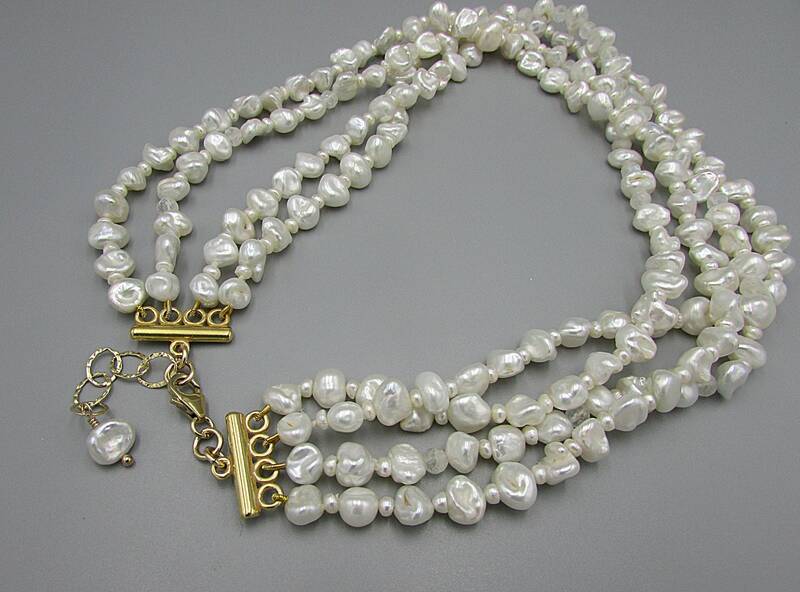 I've strung with on high quality strong nylon thread added to a fine gold plated connector with gold french wire and finished with 14kt gold filled lobster clasp and 1 1/2 inch 14kt gold filled extension chain with a single pearl added to end.